A large group of formally dressed children pose in front of the Emo house on the occasion of Cora Emo's birthday. 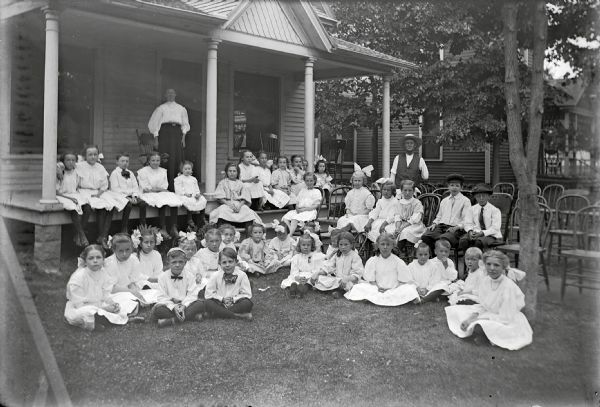 Children sit in rows on the front porch, on the ground, and in chairs. Mrs. Emo stands on the porch behind the last row of children, and Ed Emo stands on the right behind children in the yard.